Ready to get your fright on? 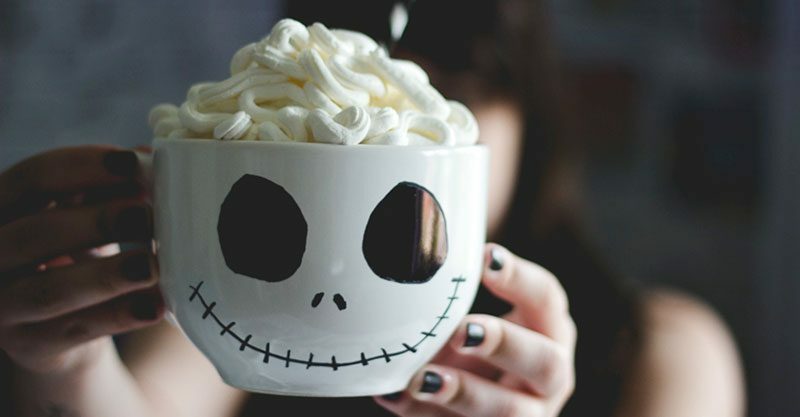 Come take a peek at these fun Halloween ideas where you’re spoilt for choice of ghastly and ghostly delights! 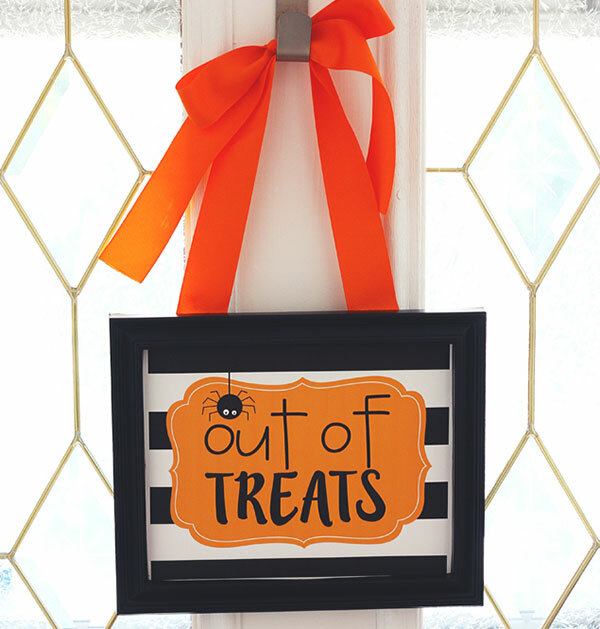 Let the neighbourhood kids know when you’re flush with treats – and perhaps more importantly – when you’re not, with this great door sign. Print it for free at Eighteen25. 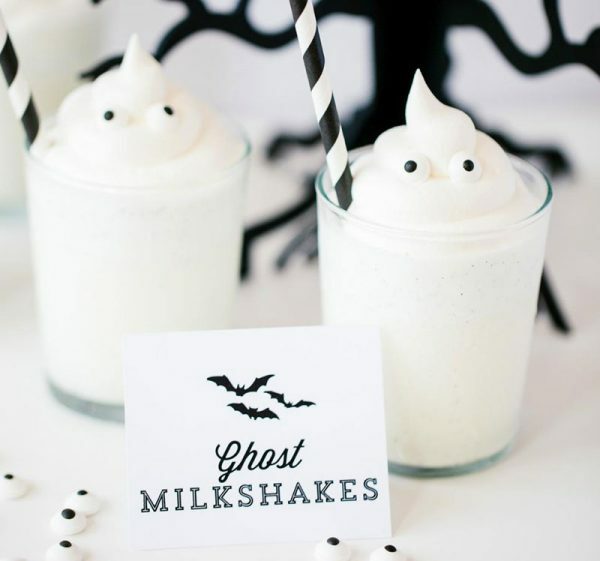 For a thirst-quenching snack, try a Ghost Milkshake to hit the spot. Find out how to make it in your very own kitchen with DIY Network‘s recipe. 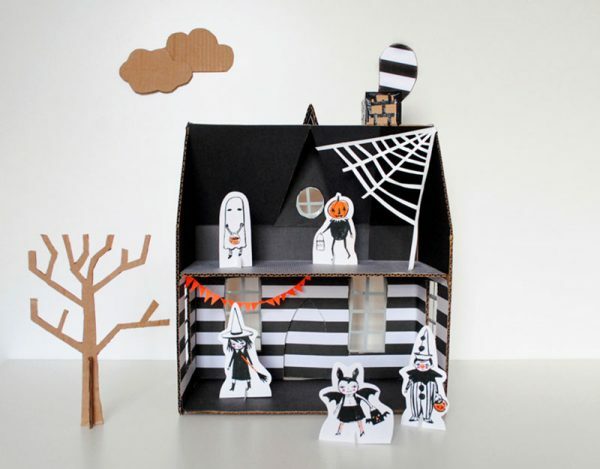 A fun DIY activity to show off on display, as well as play with, is this awesome DIY Haunted House project. Get the full rundown on how to transform cardboard with duct tape over at Mer Mag. 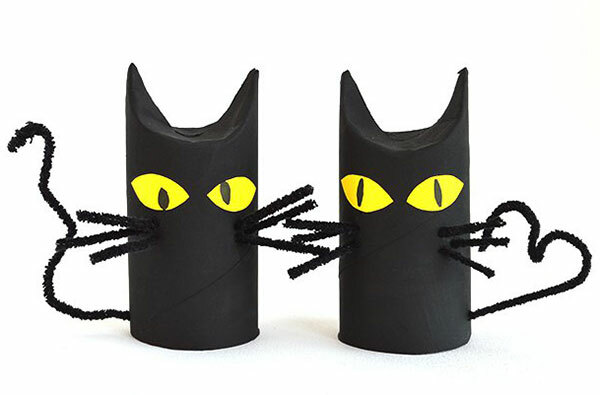 From Kids Activities Blog, put those toilet rolls to good use with a tutorial for making your own cluster of cardboard black cats. 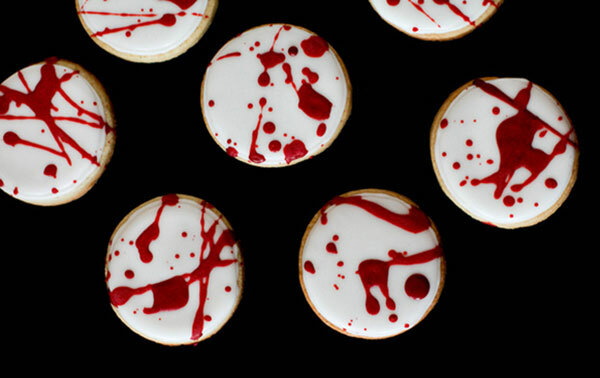 When hunger strikes, how do you fancy a blood-splattered biscuit? I know, how fabulously grotesque! Follow Everyday Annie’s tutorial for the full scoop on how to make these. 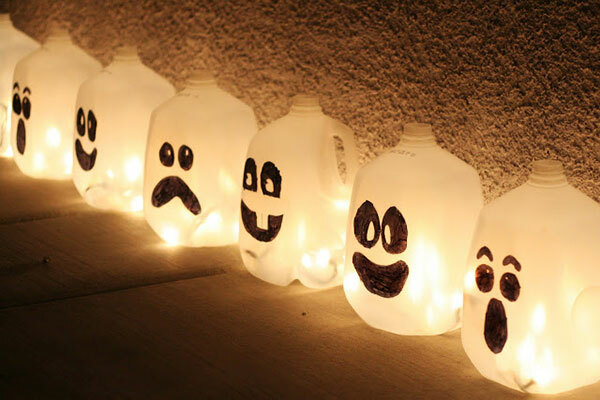 Light the way to your door with spooky lights made from juice jugs and string lights. Easy peasy! Find out how with the tutorial from Family Fun Crafts. 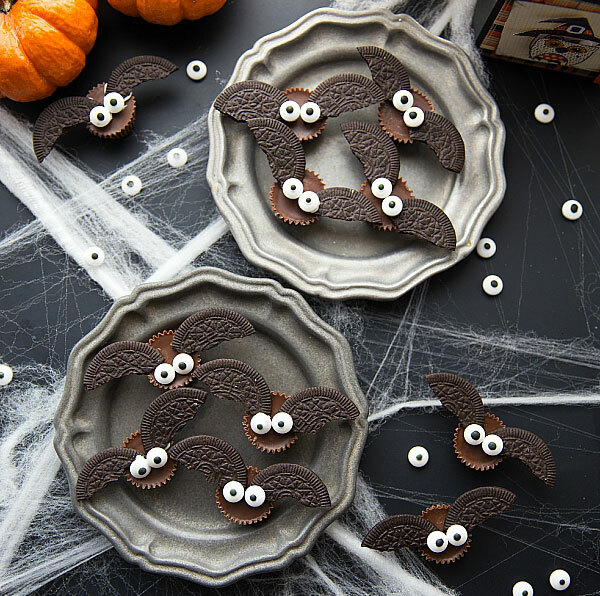 For a more sweet than scary Halloween treat, try Mini Chocolate Bat Bites from Chelsea’s Messy Apron. Paper plate fun is always a hit with the preschooler set. 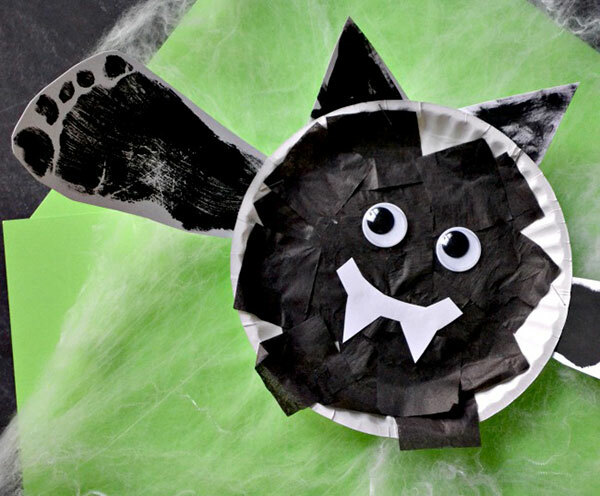 Let them at it with paint and googly eyes to create this frightfully cute Halloween Bat from A Night Owl. 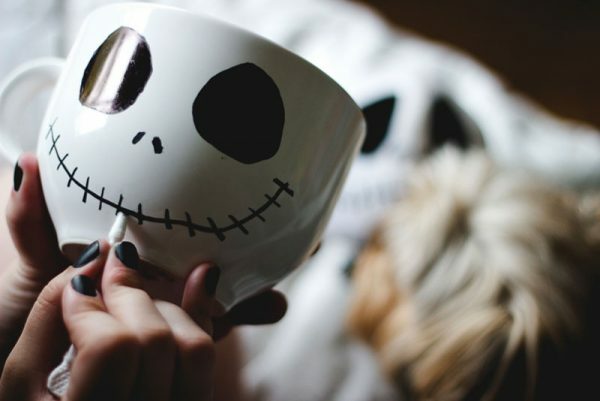 Have your Portuguese to English translator at the ready to read all about this brilliant DIY Jack Skellington Mug tutorial from Mel at Serendipity. 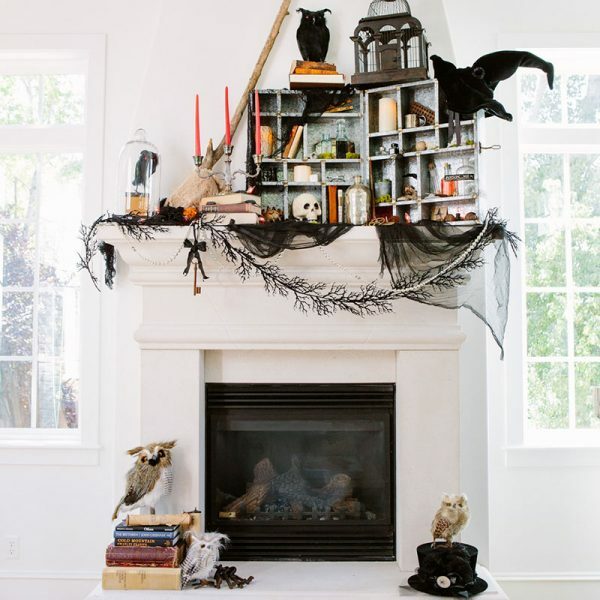 Keen to create the perfect Halloween shelf or mantel vignette? Be inspired by this spooktacular collection found at Eighteen25, from cute to extravagant, there’s a #shelfie idea for everyone!